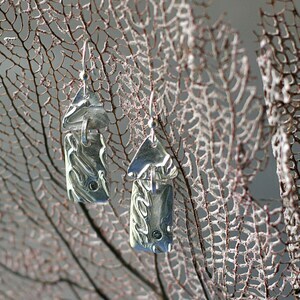 You will fall in love with white copper and its unique silvery color! 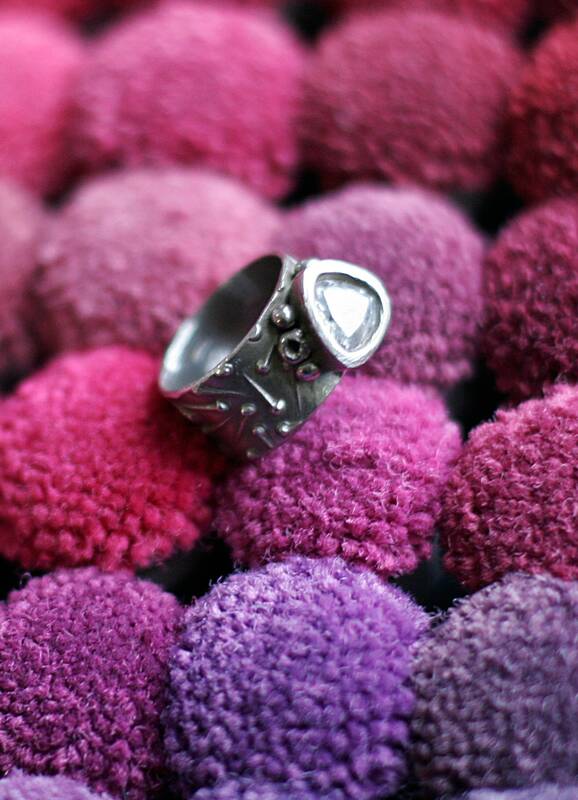 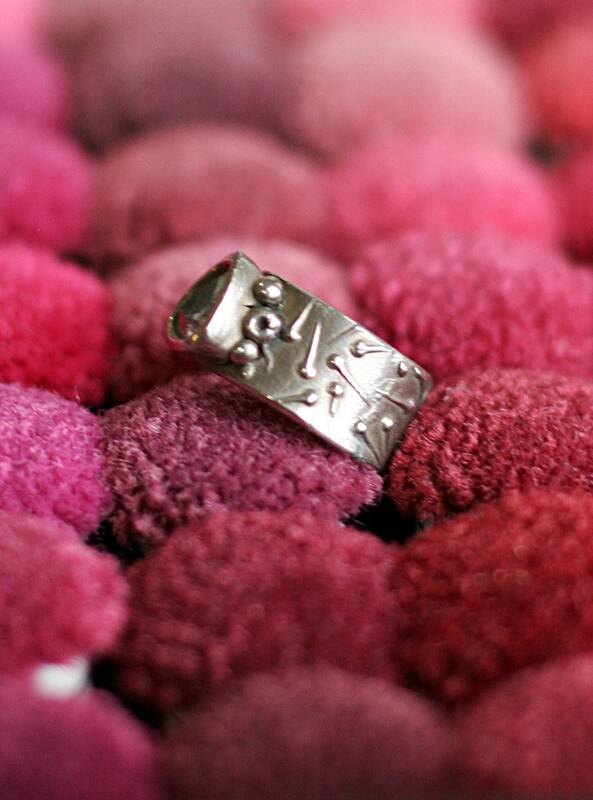 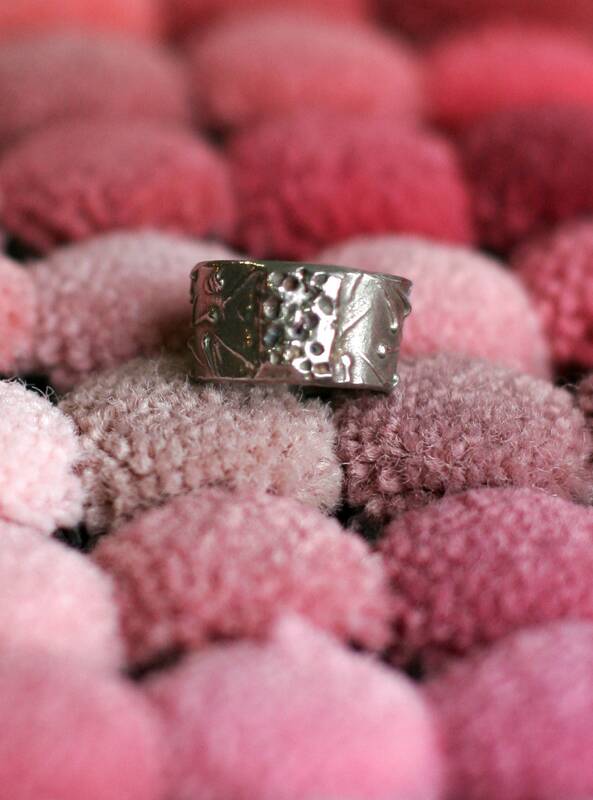 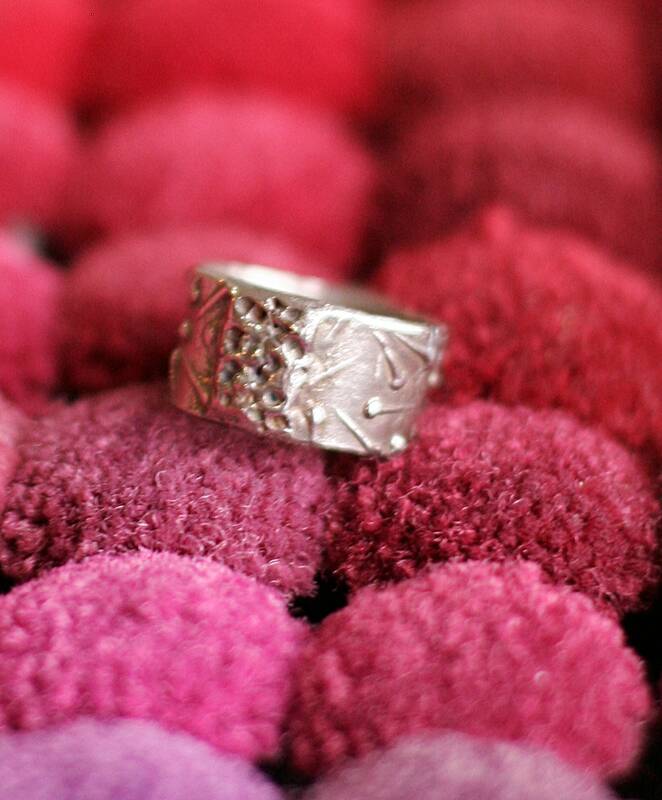 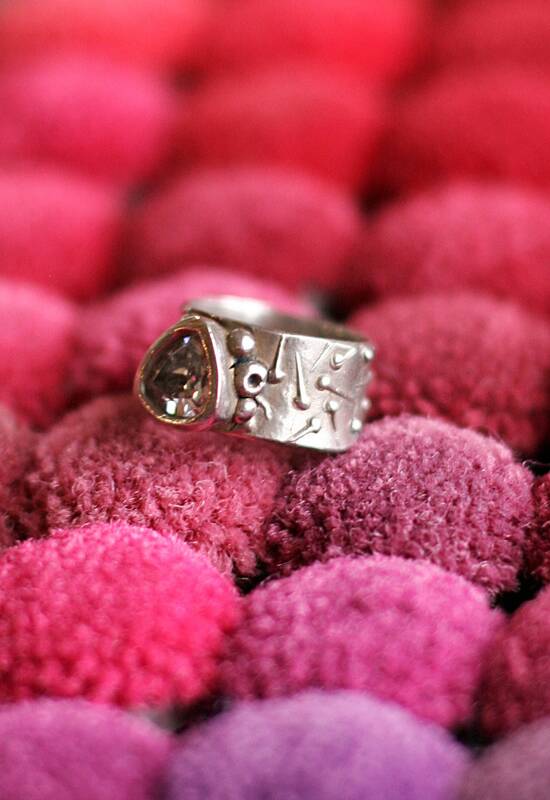 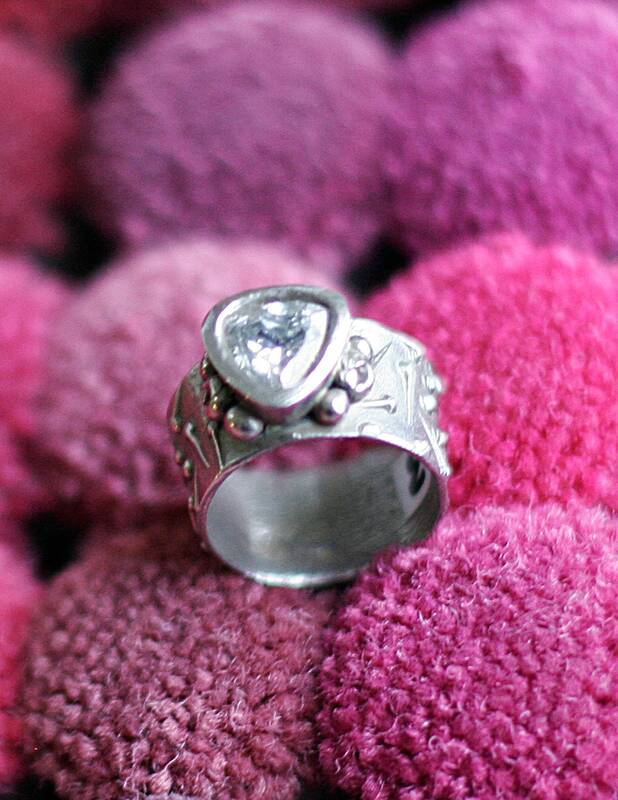 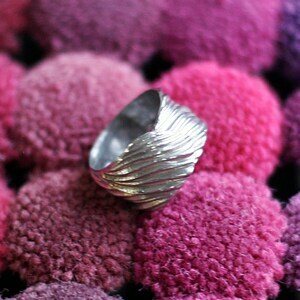 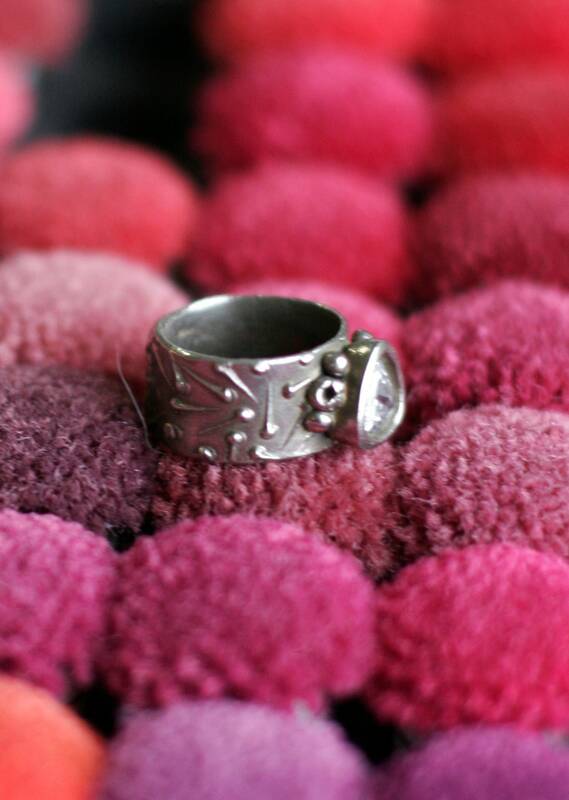 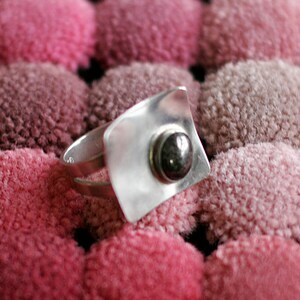 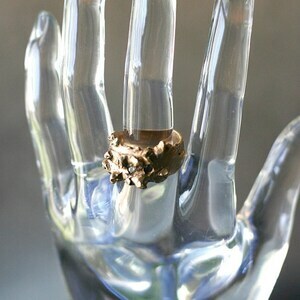 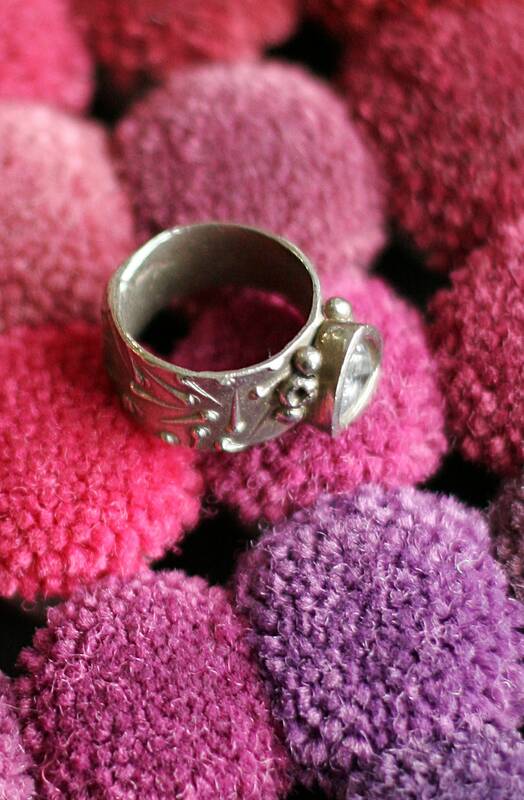 This white copper statement ring combines a funky tack texture with 3-D embellishments back and front. 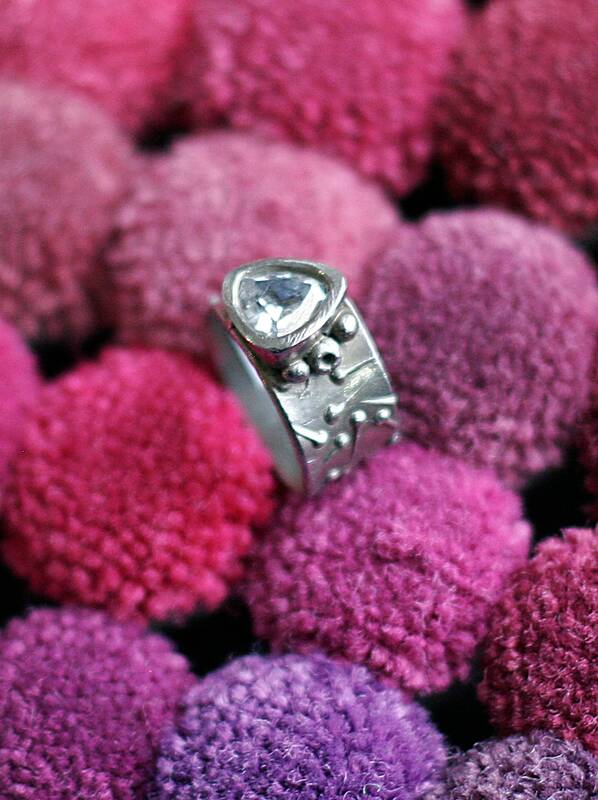 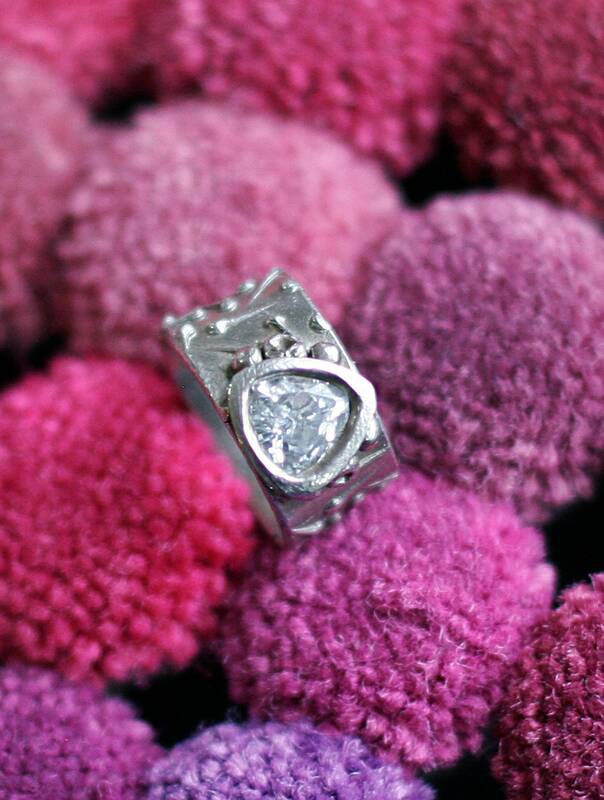 It is set off by a sparkling Champagne color trillion CZ.